Create beautiful crusty artisan baguettes in your home kitchen using this baguette baking set. 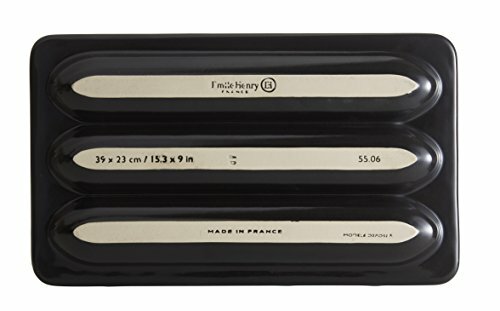 The Charcoal Ceramic Baguette Baker, Couche, Lame Set features the Emile Henry Ceramic Charcoal Baguette Baker, a Mure & Peyrot Lonquet Bread Scoring Lame, and a baker's couche proofing cloth, and is the ideal companion for making crusty demi-baguettes to use for sandwiches, dipping, brushetta or garlic bread. Proof the loaves on the bread proofing cloth, also known as a baker's couche, and bake them in the ceramic baker which simulates a brick oven. 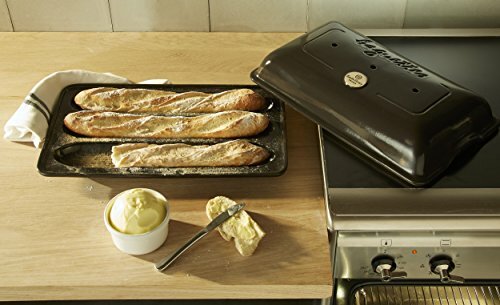 The ceramic baguette baker, which is made in France of Burgundy Clay, traps steam from the baking bread to create an environment similar to a steam-injected oven. The unit holds three, 13½-inch long by 2¼-inch wide, artisanal French baguettes. It is Dishwasher safe and comes with a 10 year warranty. A recipe book is included with the product so even a novice baker will be confident in baking bread at home. The ribbed design on the cloche base helps prevent the dough from sticking, but it can also be sprinkled with cornmeal. 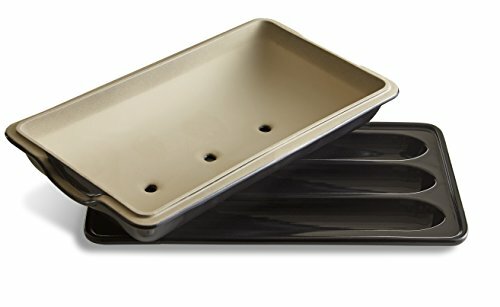 The lid creates steam which provides the perfect environment for baking delicious baguettes. The Longuet Bread Scoring Lame by Mure & Peyrot has an ergonomically shaped handle which makes it easy to hold and the straight-edge blade easily scores baguettes and other long loaves. The proofing cloth, by Matfer, has plenty of room to proof several loaves at a time. The natural, untreated flax linen is imported from France. 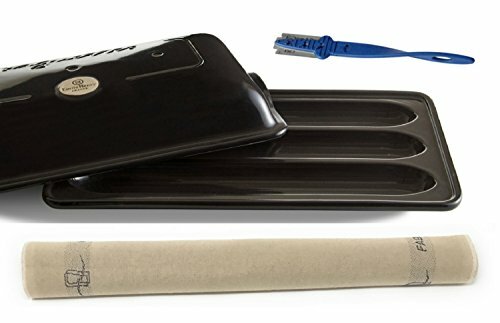 This baguette baking set can be enjoyed in your own home kitchen or makes a perfect gift for any baker.